Michele Fricke, professor and program head of art history at the Kansas City Art Institute, will give a talk and facilitate a discussion that begins by considering the notion of women’s work historically and in more contemporary practice. The discussion which will include conversation with the exhibiting artist Debra Smith will then move to the role of fiber art in the current multi-media age of artistic expression. The Surface Design Association of Missouri and Kansas will present Ms. Fricke in their meeting on Sunday afternoon, November 1, at the Volland Store. The public is invited to attend. The meeting is being held in conjunction with the current exhibit at the Volland Store, Women’s Work: Points of View. 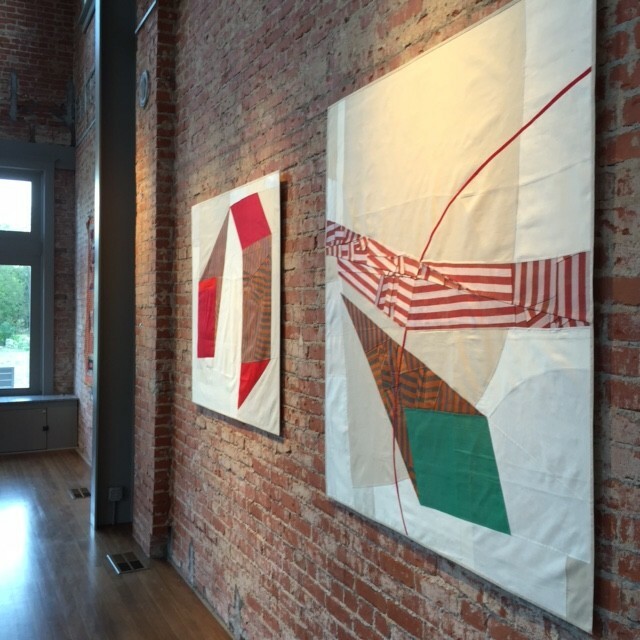 The exhibit features the work of Debra Smith, an artist working in textiles, along with a selection of vintage American quilts collected by Elizabeth Wilson of Asiatica in Kansas City. Debra is a member of the Surface Design Association and received a grant to fund the presentation. Lunch is available at noon: chicken salad sandwich, broccoli salad, cookie and iced tea. Reservations are required (for lunch only) and may be made by calling Wrenn Pacheco (405-633-1273). Please mail your check for $10 to: The Volland Store, PO Box 144, Alma, KS 66401. Reservations are not required for the presentation.